Do you love French food and have time to go on a foodie journey in the Loire Valley this fall? If so, you may want to consider signing up for this guided trip. I came across it and it looks fabulous. I’ve toured the Loire Valley on my own before, and loved the food and wine. I’d love to take this trip myself. TORONTO – May 28, 2015 – Insight Vacations (www.insightvacations.com), the leader in premium and luxury escorted journeys, has introduced The Loire Valley (www.insightvacations.com/ca/special-offers/expert-hosted-collection/the-loire-valley) – a limited one-time departure that leads guests on a 13-day magical journey of food, wine and history through the villages and vineyards of the famed region. Designed to satisfy even the most discerning of food connoisseurs, The Loire Valley has been curated by Barbara Barde, an Insight Vacations Tour Director, and private certified sommelier Tom LeRoy. Departing September 26, 2015, this exclusive gastronomical adventure begins in Paris, one of the great culinary capitals of the world. Synonymous with wine production dating back to the 1st century, the region offers guests an incomparable cultural landscape of great beauty comprised of ancient towns and family owned vineyards. Guests will eat and drink their way through the “Garden of France”, all the while experiencing the Loire Valley through the eyes of a true gastronome with the help of local experts. – Visit to the Maison Louis de Grenelle, the last remaining family-owned property of the major Saumur sparkling producers, where guests will learn the art of sustainable viticulture while 12 metres beneath the cobblestone streets of this historic town. – Discover the fascinating secret world of mushrooms at the Musée du Champignon in the village of St. Hilaure, touring the underground cave exhibiting the many cultivation methods of the species indigenous to the region. – Dine at the Cathédrales de la Saulaie, a 19th century subterranean restaurant located in a cathedral-sized Troglodyte cave specializing in local Pays de la Loire dishes.way to Chinon, learn the art of perfecting the balance of tradition and modernity in wine-making at the family-owned Frederic Mobileau Vigneron winery, known for offering multi-faceted wines from the Saint Nicolas de Bourgueil, Bourgueil, Saumur and Anjou appellations, whilst visiting the 2,000 hectares of the Couly-Duthier winery. – At Sancerre, guests will sample the stunning varietals of this region long revered for specializing in 100 per cent Sauvignon Blanc wines while sampling sumptuous goat cheese at Chèveries de Chamons. 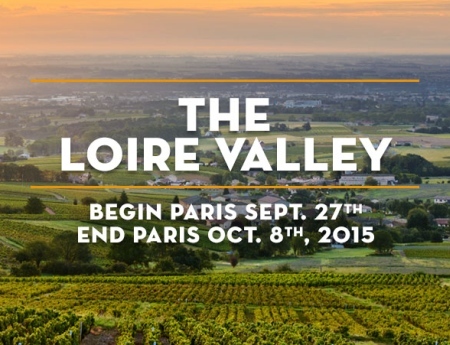 “Food and wine have long been passions of mine and I am proud to be personally hosting The Loire Valley. I have handpicked each experience to reflect my love of French gastronomy and look forward to welcoming guests to the ‘Garden of France’,” says Barbara Barde, Insight Vacations Tour Director. To book this escorted journey or for more information, please visit www.insightvacations.com, contact Insight’s Sale Centre at 1-800-387-8490 or speak with your local travel agent. Barbara is an award winning television producer, with over 600 titles to her credit. She began appreciating and collecting wine almost 20 years ago and is known for her impressive cellar. She is also a “foodie”, always on the lookout for an amazing recipe, new ingredients, or a restaurant that no one has heard of. Barbara is also a passionate traveler and has spent the last several summers leading tours with Insight Vacations and other companies. She will be the Tour Director. Wine Sommelier Tom LeRoy is a criminal lawyer in Toronto who began collecting and appreciating wine fifteen years ago. A true aficionado of wine, he has recently obtained a wine specialist certificate from George Brown College and was also certified as a Wine Sommelier by the Court of Master Sommeliers. 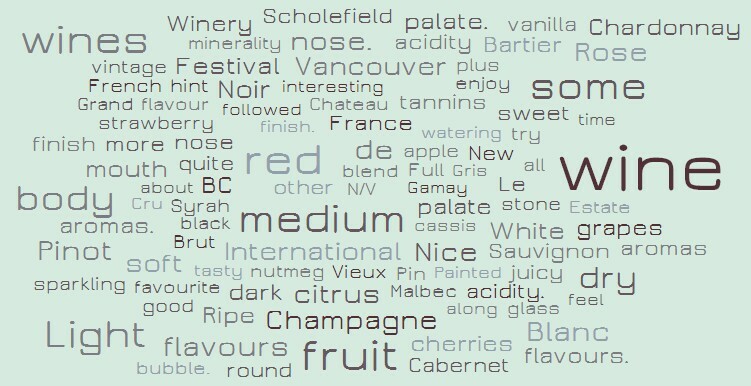 Tom is also a member of the Canadian Association of Professional Sommeliers. For more than 35 years, Insight Vacations (www.insightvacations.com) has been designing the world’s finest escorted travel itineraries. Insight offers 113 journeys to more countries across Europe than any other operator and provides the same legendary service across North America, India, Bhutan, Nepal, Morocco, Egypt and Israel. Insight guests enjoy The Art of Touring in Style with business-class legroom aboard customized luxury coaches, intimate groups of just 40 travellers and the services of an experienced Tour Director who acts as ‘travelling concierge.’ Each expertly planned itinerary includes a range of Signature Events for a unique and authentic look into the history and culture of each destination. Throughout their trip, guests will stay in handpicked hotels that are centrally or scenically located and have the perfect balance of guided and independent exploration. For more information, visit us at http://www.insightvacations.com, on social media at http://www.facebook.com/InsightVacations, http://twitter.com/InsightVacation, and join the conversation using the hashtag #InsightMoments. Created as a joint initiative between The Travel Corporation’s family of brands, the TreadRight Foundation is a not-for-profit working to ensure the environment and communities we visit remain vibrant for generations to come. To date, TreadRight has supported more than 35 sustainable tourism projects worldwide. The Foundation’s guiding principle is to encourage sustainable tourism development through conservation, leadership and support for communities. Foundation priorities are set by the Steering Committee, which includes sustainability leaders like Céline Cousteau and Costas Christ. TreadRight’s past project partners include WWF, Conservation International and The National Trust in the UK. Current initiatives include sponsoring the National Geographic Society’s inaugural “World Legacy Awards,” and inspiring wildlife advocates like Terri Irwin. Beaujolais Nouveau Dinner at Left Bank Restaurant! Have you heard of Beaujolais Nouveau? 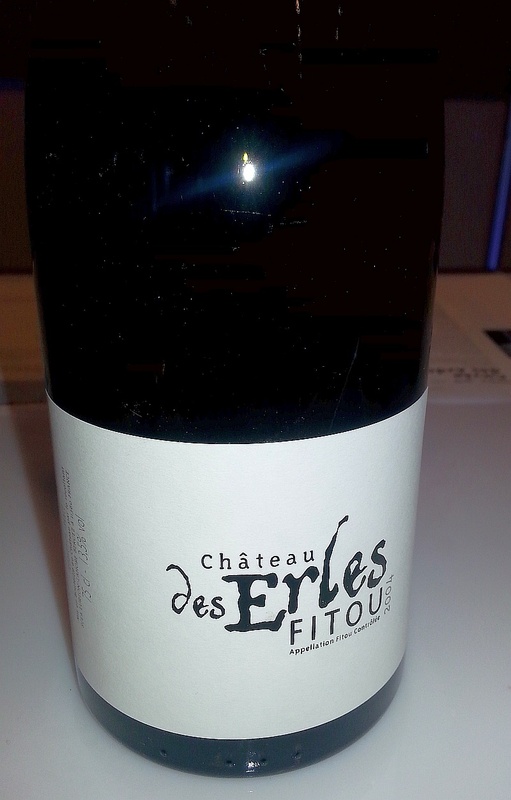 It is the young, fermented Gamay Noir grape from the Beaujolais region of France. 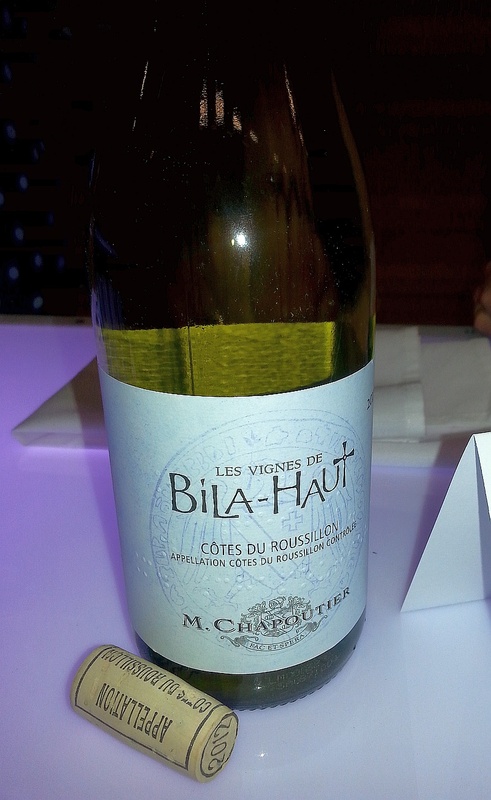 The French use a method called “Carbonic Maceration“, or whole grape fermentation, in a carbon dioxide rich environment, that causes the wine to be very fruity and low in tannins. 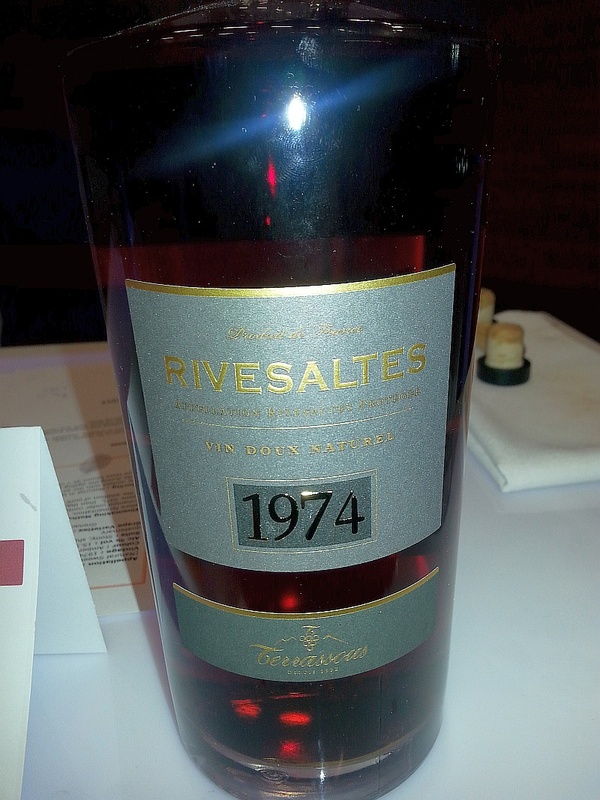 The wine is ready to drink young, and not meant to be kept in the cellar for long-term aging. 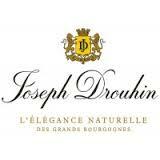 Left Bank Restaurant in the West End downtown is celebrating Beaujolais Nouveau with a special dinner, serving Maison Joseph Drouhin Beaujolais Nouveau. Details below. Left Bank Restaurant invites you to their annual Beaujolais Nouveau event on Thursday, November 20. Expect a deliciously paired three-course menu for only $65 per person including the Beaujolais. Make reservations today as this event will sell out 604-687-1418. Thanksgiving is coming up soon for us Canadians, and that means (or can mean) cooking up a large turkey. Perhaps you would like someone else to take on the cooking for you this year? 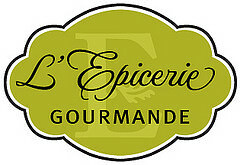 If so, you may want to try l’Epicerie Gourmande. Read their announcement below. (Vancouver, BC) – To paraphrase Shakespeare – ‘would a roast turkey by any other name taste so good?’ It does when it’s called ‘le dindon’ – the French name for our iconic celebratory bird. With the Thanksgiving holiday just around the corner, people are starting to think about the annual groaning board of turkey with all the fixin’s. Not everyone has the time, or the kitchen space, to prepare the full traditional feast. That’s where L’Epicerie Gourmande comes to the rescue. Located in the Granville Island Market, L’Epicerie is an authentic French rotisseur and gourmet shop – just like the ones along the Rue de Rivoli in Paris. 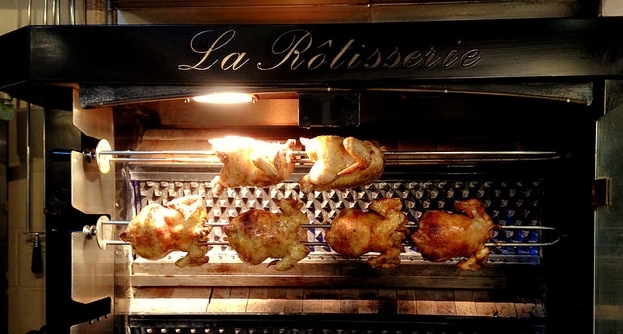 Under the ownership of Chef David Izquierdo, a native of Marseilles and alumni of the kitchens at Provence Restaurants and Salade des Fruits, L’Epicerie specializes in succulent meats cooked on a Doregrill Neoflame Rotisserie imported from France. The shop also features many other prepared-foods-to-go along with premium EVOO, balsamic vinegars and gourmet condiments. L’Epicerie is offering a very special three-course prix fixe Thanksgiving Dinner-To-Go value-priced at $24.99 per person. If you want only the turkey main course, that is available for $14.99. L’Epicerie also is offering other seasonal entrees, side dishes, condiments and desserts – enough to satisfy the individual preferences of everyone around your dinner table. It will be posted in the next day or so to their Facebook page. The prix-fixe Thanksgiving Menu and seasonal features are available from October 10th through 13th. It’s easy to order Thanksgiving-To-Go by calling 604-653-7317. 24 hours minimum advance notice is required. When placing your order, state the day and time you wish to pick up your dinner. You’ll also be asked for a deposit – L’Epicerie Gourmande accepts Visa, Mastercard and debit cards. Then, on the appointed day and time, pop into L’Epicerie and take Thanksgiving home with you. The shop is open seven days a week from 9 a.m. to 7 p.m. Très simple, n’est-ce pas? Are you a lover of French Champagne and of the arts? If so, one of these Veuve Clicquot events may be of interest to you. Read and enjoy! 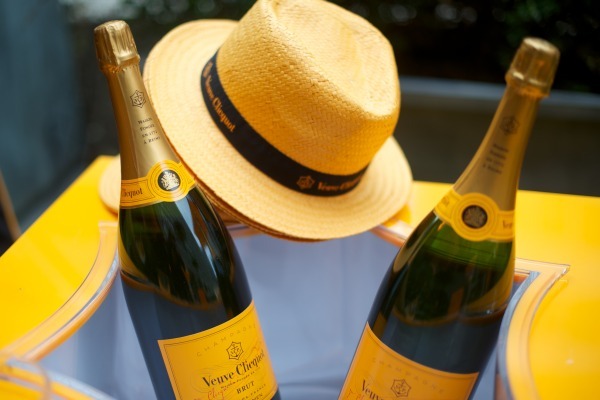 Vancouver, May 21, 2014 — Veuve Clicquot is proud to announce the Vancouver launch of Yelloweek, a festival-style ‘tribute to creativity’ showcasing gastronomy, arts, fashion and lifestyle. Taking place from May 22-24 inclusive, Vancouverites are invited to explore and enjoy a series of creatively-inspired events spanning several categories, including: Yellow TABLE, Yellow BY THE GLASS, Yellow NIGHT and Yellow CONTEST. Veuve Clicquot’s Yelloweek was created as a tribute to artists and artisans who push the boundaries of their respective creative fields every day much like Madame Clicquot did in her time. Overcoming countless obsta- cles, la veuve (the widow) Clicquot became one of the most successful women entrepreneurs of the 19th century and built a worldwide luxury brand, founded on artisan practices and uncompromising quality. Since its creation in 1772, Veuve Clicquot played an instrumental role in establishing and evolving the Champagne industry, as we know it today. Located in Reims, France, Veuve Clicquot prides itself on using only the most distinct grapes reflecting Madame Clicquot’s motto “only one quality, the finest.” Now, more than 200 years later, Veuve Clicquot Champagne inspires the world to “Be Clicquot”: modern, audacious and of premium quality. These values, set forth by the extraordinary Madame Clicquot, promise a remarkable experience with each sip of Veuve Clicquot Champagne. 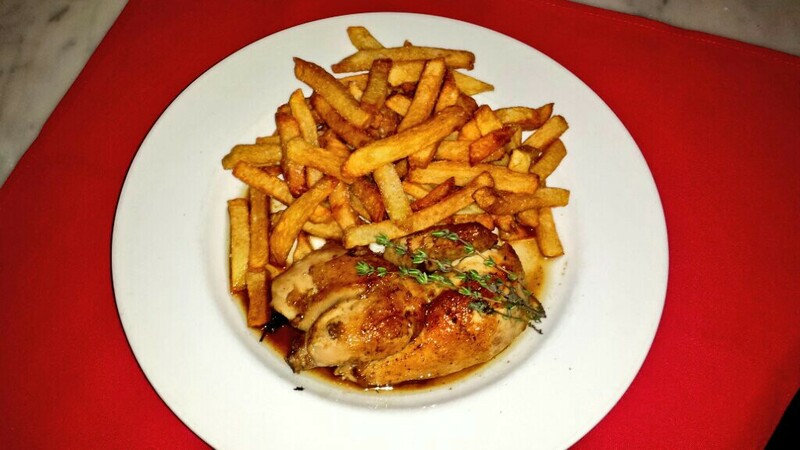 Quality French food from Le Parisien in downtown Vancouver’s West End. Their latest 2nd Anniversary menu and specials. Enjoy! Le Parisien’s 2nd Anniversary celebration continues with $20-or-less dinner entrees and our ongoing Live Music Thursdays. We’ve also introduced Happy Hour. Between 5PM and 7PM, beer, high balls and appies are 50% off; glasses of house wine only $4. There’s no better way to end the workday or start the evening. Fresh local ingredients, the sounds of French and gypsy-folk music, the aromas of classic French cuisine; it’ll be easy to imagine that you’re on the Left Bank of Paris. Spot Prawn Season is on. Need I say more? Check out this menu from Provence Marinaside and Provence Mediterranean Grill in Vancouver. (Vancouver, BC) – May is a favourite month with Vancouverites – not just because it has finally stopped raining and the city is awash in spring blossoms – no, it’s because May marks the beginning of Spot Prawn Season. Spot Prawn season officially opens this year on Saturday, May 10th. For six weeks, Lower Mainlanders revel in the juicy sweetness of these local ‘gems of the sea.’ Whether you prefer yours steamed or grilled or poached, everyone can agree there is nothing more heavenly than enjoying spot prawns accompanied by a glass of cool, crisp wine. 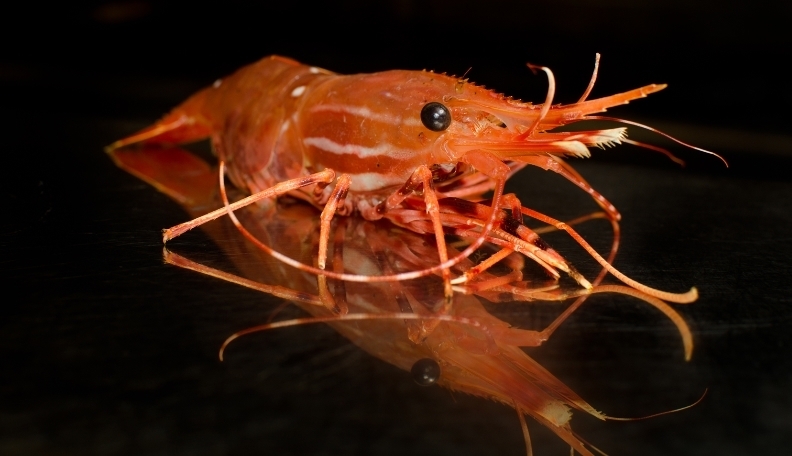 Spot Prawns are a succulent, sustainable and local product of our oceans. It is a sustainable fishery endorsed by the David Suzuki Foundation and the Ocean Wise Program – but more than being environmentally correct, spot prawns are delicious. “Simply prepared there is nothing sweeter and tastier than a spot prawn,” says Jean-Francis Quaglia, owner and executive chef at Provence Restaurants. Both Provence locations – Mediterranean Grill (P1) in Point Grey and Marinaside (P2) in Yaletown, will be featuring special three-course Spot Prawn Menus for the duration of the season which usually goes to the end of June. Each restaurant’s menu, while shining the spotlight on the spot prawn, is completely different and priced differently. Provence Mediterranean Grill’s Menu is priced at $48 and starts with a choice of Steamed Whole BC Spot Prawns or Chilled BC Spot Prawn Salad or Spot Prawn Velouté. For mains there are two choices – Flambéed Spot Prawn Duo (with your choice of halibut or beef tenderloin) or Pearl Couscous Risotto with Spot Prawns and Dungeness Crab. Dessert is a choice from the menu – perhaps a slice of their famed Clafoutis? Full menu details here. Provence Marinaside’s Menu includes an optional wine pairing selected by sommelier Rachelle Goudreau. The Menu price is listed as ‘at Market’ which means it should average in the $50 range with the wine pairing available for an additional $20. At Marinaside diners start with a choice of Merguez Sausage with Mixed Greens or Bocconcini and Tomato with Mixed Greens or Yellow Tomato Gazpacho (wine: Montelvini Prosecco, Italy). For mains, Marinaside offers a choice of Spot Prawn Duo – Grilled and Provençal Style (wine: Birlocho 2011 Verdejo+Sauvignon Blanc Rueda, Spain) or Lois Lake Steelhead and BC Spot Prawns (wine: Bartier Bros. 2012 Semillon Okanagan, BC) or Halibut and BC Spot Prawns (wine: Le Vieux Pin 2012 Rosé Okanagan, BC). 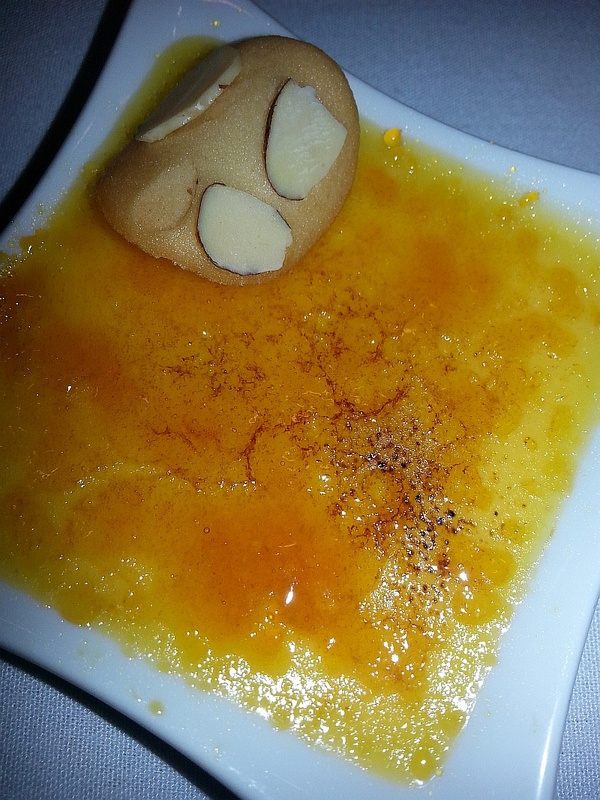 Dessert is a choice from the restaurant’s regular menu. Its signature Lemon Tarte would make a lovely finish accompanied by a glass of the suggested wine – Unsworth Ovation Vancouver Island, BC. Full menu details here. With special menus, such as Spot Prawn Season, or the Tomato Festival later in the summer, the two locations engage in a little friendly rivalry over who creates the best menu. Check out Provence’s Spot Prawn Video from 2012, try both menus and “you be the judge.” After all, with such a short season, you can never have too many spot prawns. In case you are up for some French food and support a great cause, why not try Bistro Pastis‘ 15th Anniversary Dinner menu? Press Release below. (Vancouver, BC) – Fifteen years goes by in the blink of an eye, yet it is a long time in the restaurant world. On May 7, 1999 John Blakeley opened Pastis on a quiet strip of West 4th in Kitsilano. The only other restaurant in the area was the iconic Bishop’s. During the intervening years, Bistro Pastis has seen a lot of change – both within the restaurant itself and in the neighbourhood. Pastis morphed from fine-dining to Bistro Pastis – a cosy and casual neighbourhood bistro, John Blakeley was knighted by the government of France and is now a Chevalier, and a vibrant restaurant scene sprung up along W.4th Avenue – attracting diners from across the city. During the 15 years, some of Vancouver’s finest chefs have headed the kitchens at Bistro Pastis – Dino Renaerts, Brad Miller and Tobias Grignon are all Pastis alumni. To celebrate, John Blakeley has invited the aforementioned chefs along with current Executive Chef Spencer Watts and Pastry Chef Heather Rumsby to join him in creating a very special anniversary dinner on May 7th. Starting with Cocktails and Canapes at 5:30 p.m., guests will then sit down to a six-course dinner complete with wine pairings – each course designed by one of the five Bistro Pastis chefs plus a course designed by Mr. Blakeley. Mr. Blakeley also created the wine pairings to complement each course. Bistro Pastis wishes to thank the following wine agents, food distributors and suppliers for their generous support of this event: A & B Rentals, Charton Hobbs, Continental Importers, Fresh Point, Grady Wines, Liberty Wines, Mark Anthony Wines, Ponderosa Mushrooms, Select Wines, Seven Seas, and Trimpac. This very special dinner is priced at $160 pp including wine pairing, taxes and gratuity with proceeds going to benefit the BC Hospitality Foundation. Tickets are essential and can be made by calling the restaurant at 604-731-5020. For those of you who cannot join the restaurant on May 7th for its birthday dinner, Bistro Pastis is offering diners a special gift. 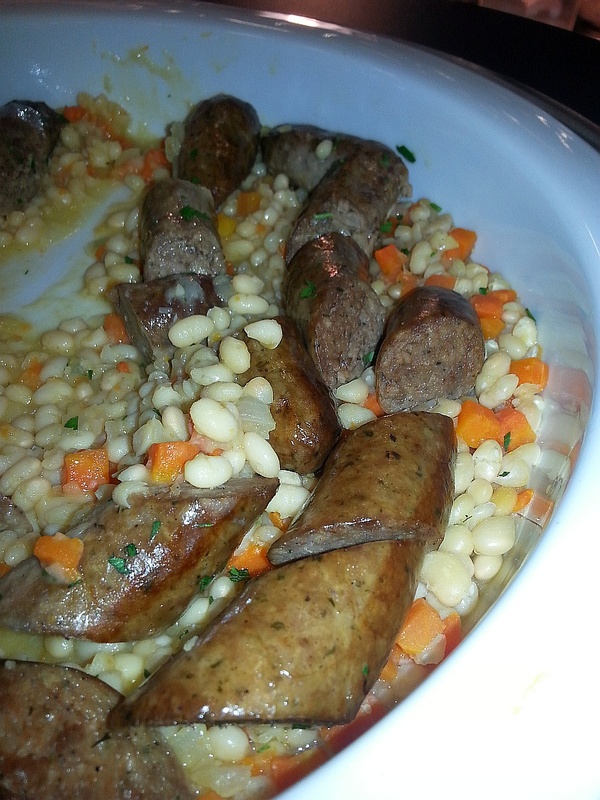 From May 8th through June 8th, Bistro Pastis is giving a 25 per cent discount off the price of dinner (food and wine). “It’s my way of thanking our guests for their patronage over the years. Bistro Pastis really has become a family where staff and customers have come to know one another. To have thrived 15 years in Vancouver’s restaurant scene is a testament to the loyalty of our guests. It is a privilege to be able to thank them,” says John Blakeley. 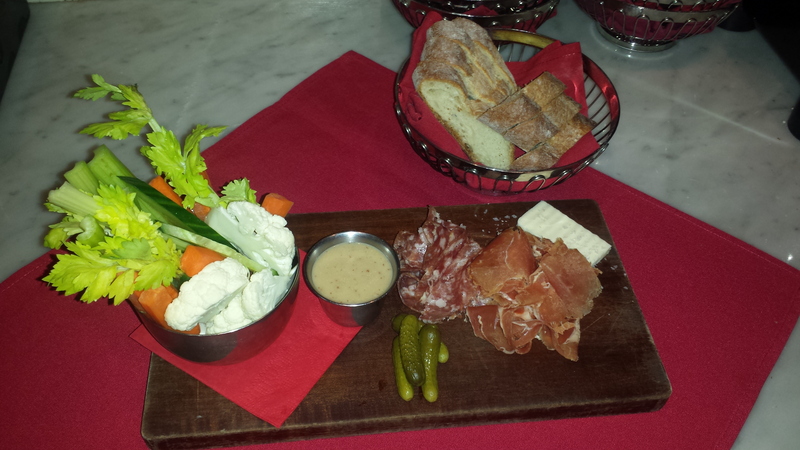 Have you had the chance to enjoy the French food at Le Parisien in the West End downtown? If not, their 2nd anniversary is upcoming, and they will be offering a special dinner menu. Details are below. Enjoy! Celebrate our second anniversary with us from Friday, April 11through May 15. For the past two years, we are proud to have been welcomed so warmly into the West End community and we are always excited to get to know new people. So whether you’re a regular customer, or you’ve just been meaning to check us out, join us this Friday and be the first to try our new dinner menu featuring all main courses for $20 or less. We’re also excited to present our new Spring Wine and Dine Menu value-priced at only $69 for two. Enjoy three courses of French bistro favourites: Charcuterie, Roasted Free-run Cornish Hen with Frites and a Dessert of your choice. All complete with a bottle of house red or white from Calona Vineyards , $69. For the Wine and Dine Menu Executive Chef Alexander Carriere has carefully selected local seasonal ingredients to feature in classic dishes from his favourite bistros in Paris. What else is new at Le Parisien? We pleased to present Live Music every Thursday night. We’ll be showcasing new local artists with music styles ranging from jazz through folk and more Next week, on April 17, we’ll be featuring Pepper Really, a French vocalist who will be performing some original songs plus covers of popular French tunes. There are two sets a night at 6:30 p.m. and 8 p.m. So come join us through mid-May as we celebrate our second anniversary with great food, wonderful wine and entertaining music. It can’t get more French than that! One thing I enjoyed about this event was the booklet provided to us contained a page for each wine and the suggested food pairing. So for example, you may sample a Cremant from Domaine Paul Mas, and try to pairings of Fresh Asparagus Salad or the Tourte a la Brandade. For sparkling wines, I thought the Gerard Bretrand Cremant de Limoux 2011 was a fun wine to drink. 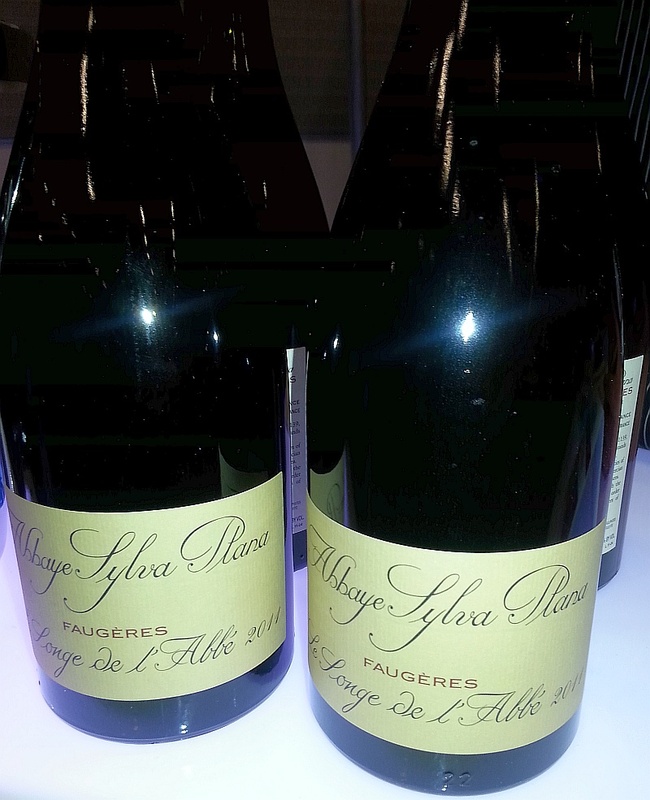 Dry, high acidity, citrus flavour with small, creamy bubble. This bubble paired nicely with the Fresh Asparagus Salad. 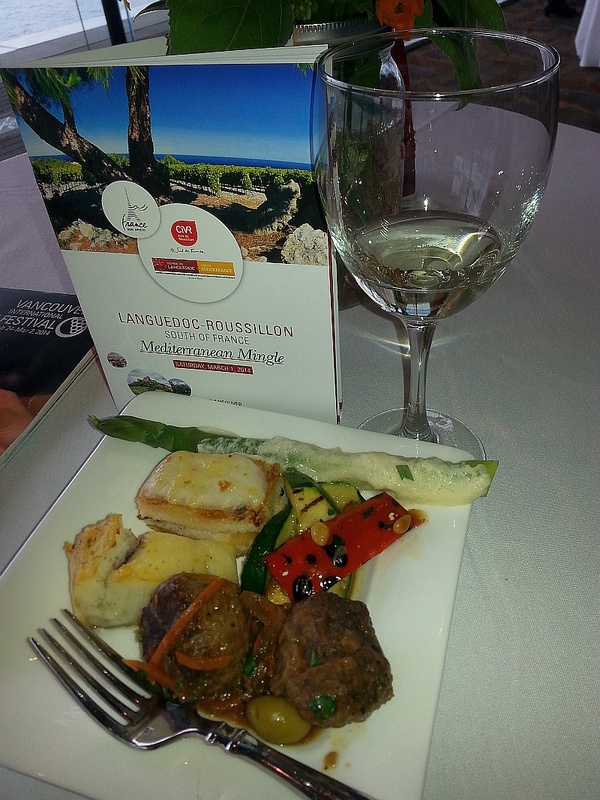 Enjoy the pictures below of the event and think about trying the wines of the Languedoc-Roussillon. 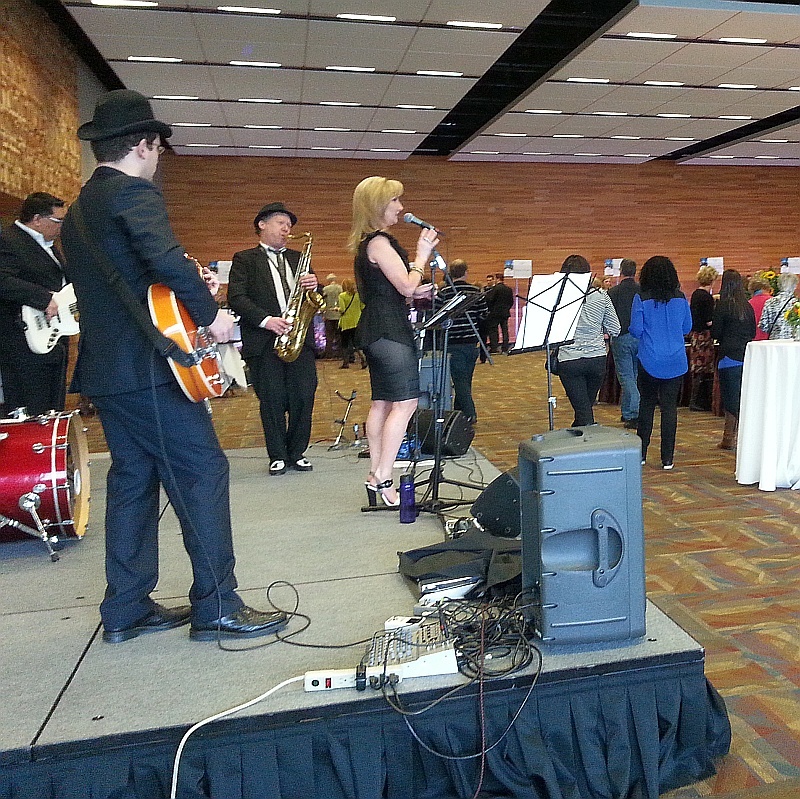 There was also a live jazz band playing fantastic music, but I did not get their name. You can hear and see a snippet of this band if you check my VINE video.